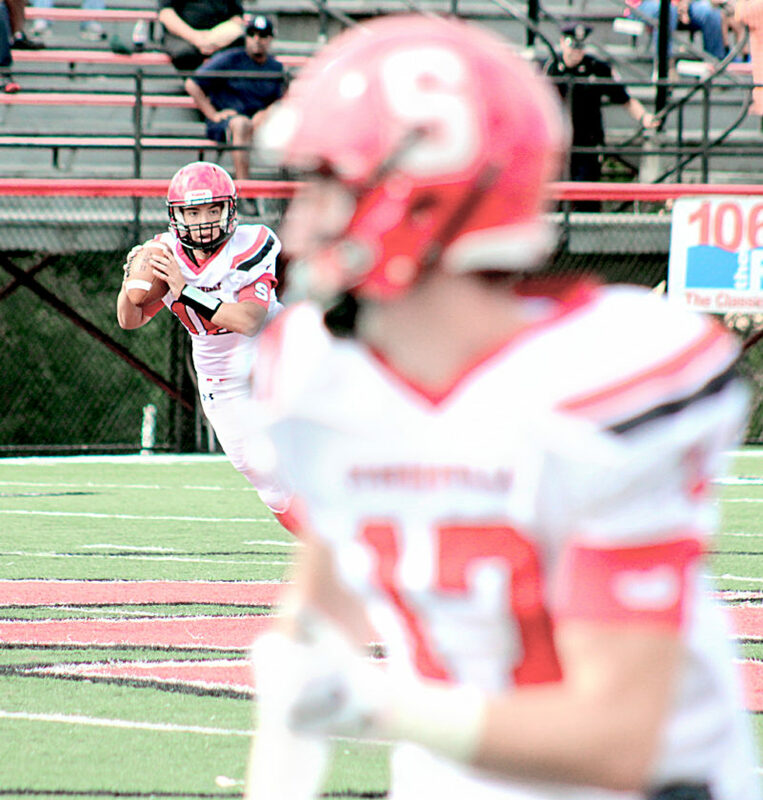 STEUBENVILLE — Big Red has clinched an 18th consecutive trip to the playoffs and can guarantee itself a first- round home game with a victory in Friday’s regular season finale opposite University School. The kick for the second meeting between the schools (Steubenville blanked the Preppers 30-0 in 2017) is set for 7 p.m. inside Harding Stadium. Big Red, ranked fourth in this week’s Ohio AP Division IV poll, has won eight straight since its season-opening loss to Penn Hills. University School, located in Hunting Valley near Cleveland, will bring a 4-5 mark to town. Big Red, the defending D IV champion, currently is third in the Region 13 computer standings. Perry is first and Hubbard second. University School is coached by Ben Malbasa, the son of Steubenville native Steve Malbasa. The Preppers own victories over Cleveland Villa Angela-St. Joseph, Cleveland Central Catholic, Hudson Western Reserve and Parma. U.S. has fallen to unbeaten Maple Heights, unbeaten Garfield Heights, Warrensville Heights, Bay and Ashtabula Lakeside. 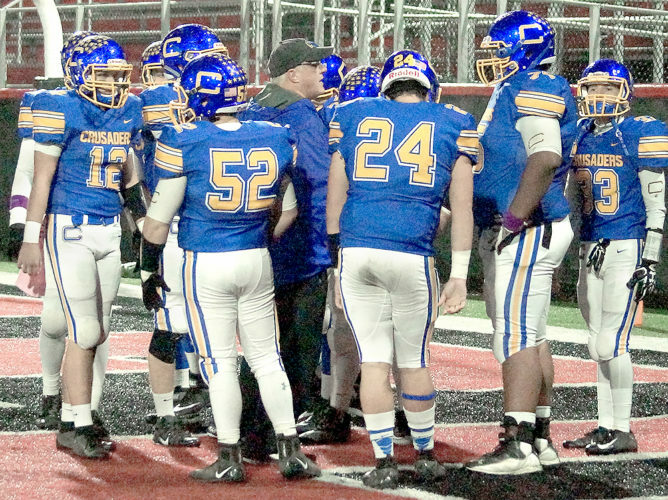 “Our 129th season of varsity football has had its share of ups and downs,” Malbasa said. “We have played several excellent teams (three of their losses came to teams with a total of one defeat), and we have lost two games that came down to the last possession of the game. Saccoccia said University is a much different team than it was last year. “We have to prepare for two styles,” he said. 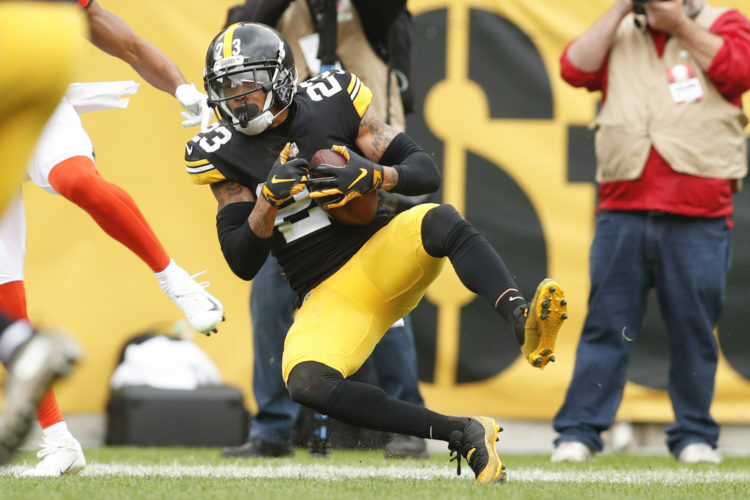 “They have their wide open style that we saw last year but, in the last game, they went with more of a conventional tight offense, using a time-consuming ground game with some play action pass. Solomon Perez directs the U.S. offensive attack. He has completed 73 passes for 1,020 yards and 11 touchdowns. He’s been intercepted just three times. 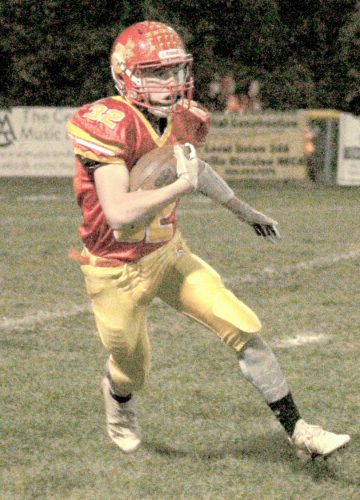 Dylan Loconti leads the rushing attack, with 890 yards on 171 carries and eight touchdowns. Nicholas Flowers has run for 198 yards, Nic Pujolas 144 and Ricky Radtke 138. Jack Voudouris is the top target for Perez. He has 36 catches for 518 yards and six touchdowns. Jake Kapp has hauled in 23 passes for 391 yards and four scores. “We have a young football team,” Malbasa said. “Only one of our defensive starters is a senior (captain Danny Ciano), and our offense features only five senior starters. We’ve had tremendous play from our wide receivers (senior captains Voudouris and Kapp and junior Pujolas) and our linebacker-running back due of Loconti and Flowers. We also are receiving great play from juniors Jack Borrow and Charlie Brennan who have emerged as leaders in our secondary. Malbasa, who also made the trip to Harding Stadium as head coach of Cleveland Benedictine, is looking forward to Friday’s visit. “Having the opportunity to bring our team to Harding Stadium to compete with Big Red represents everything we strive to achieve in our program,” he said. “Our mission is to prepare and train to compete to become champions, and everyone in our program knows that Big Red models this better than anyone in the state. Big Red improved to 8-1 with its 54-18 victory over Cardinal O’Hara last week. The Hawks actually scored first in that contest before Steubenville took control. Through nine games, Big Red’s offense is averaging 384 yards a game (275 coming on the ground) and 35 points. The defense allows 235 yards and 18 points. 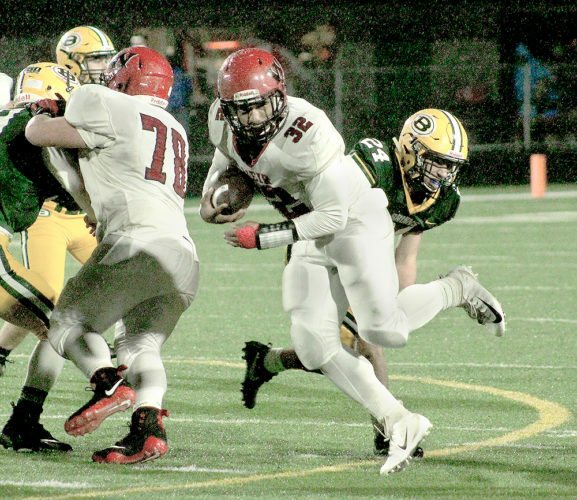 Junior Tayveon Crawford leads Steubenville’s ground game, with 1,165 yards and 10 touchdowns. 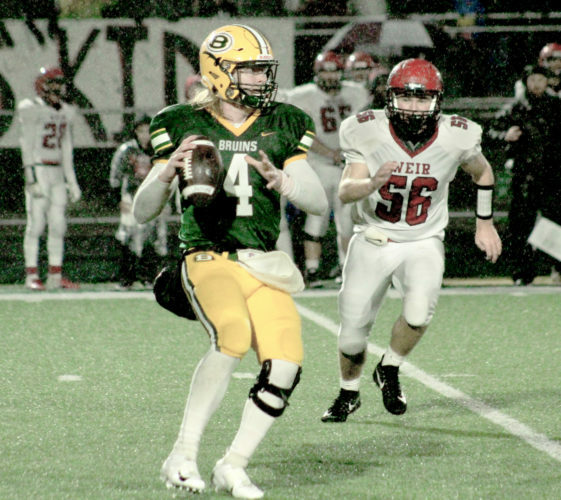 Senior quarterback Clayton Criss has thrown for 868 yards and eight touchdowns. Ethan Duggan has 15 catches and Ryan Rauch 14. Big Red’s streak of 18 consecutive postseason appearances is fifth best all-time. Cleveland St. Ignatius has the most with 22 from 1988-2009. Prior to the game, Big Red will recognize its 25 seniors.